Summer might be over but there is still time to enjoy a few of it’s treasures. This is a super simple but delicious beverage. 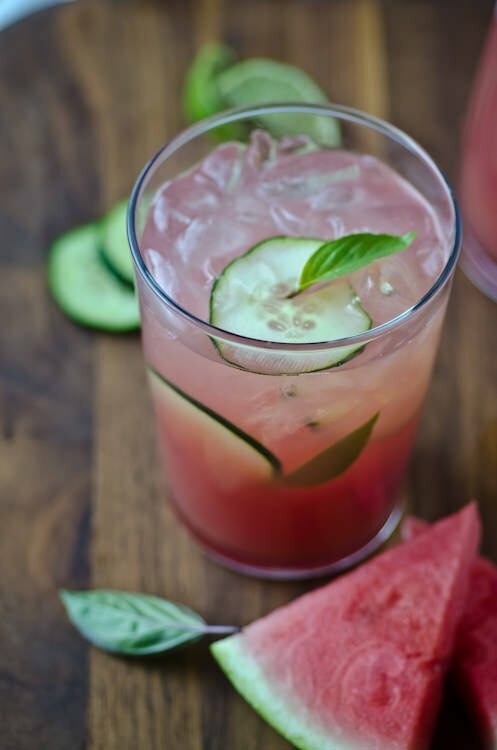 Juicy watermelon and cucumber combined with lime make for a refreshing drink perfect to sip on the last warm days ahead. If you don’t like the taste of cucumber you could easily make it without but I love the crisp, clean brightness that it adds. 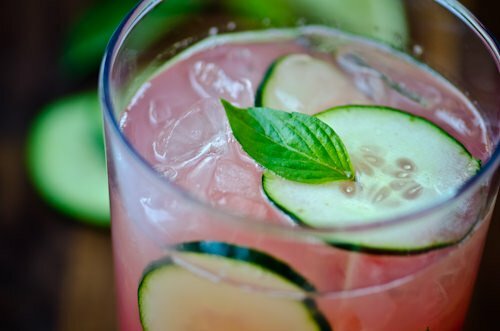 Muddling a few basil leaves in the bottom of your glass enhances the bright herbal notes of the cucumber. If you’d like to make this a cocktail add 2/3 cup of vodka to the mix. Set a large fine-mesh sieve over a large bowl or pitcher. 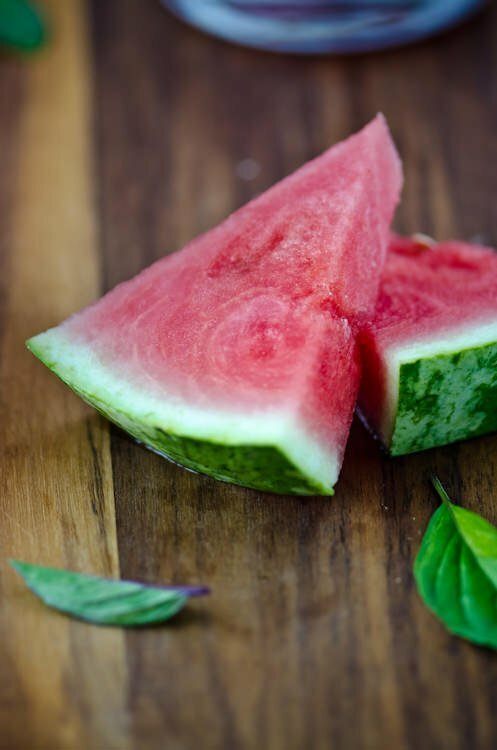 In a food processor or belener, puree watermelon and cucumber. Pour puree through sieve, pressing on solids with a rubber spatula. In a small bowl, stir together lime juice and agave nectar or honey. Add to watermelon and cucumber mixture. Taste and adjust sweetness with more agave nectar or honey. To serve place a few pieces of basil in the bottom of the glass, with a muddler or the end of a rolling pin gently bruise the leaves until they impart a nice herbal scent. 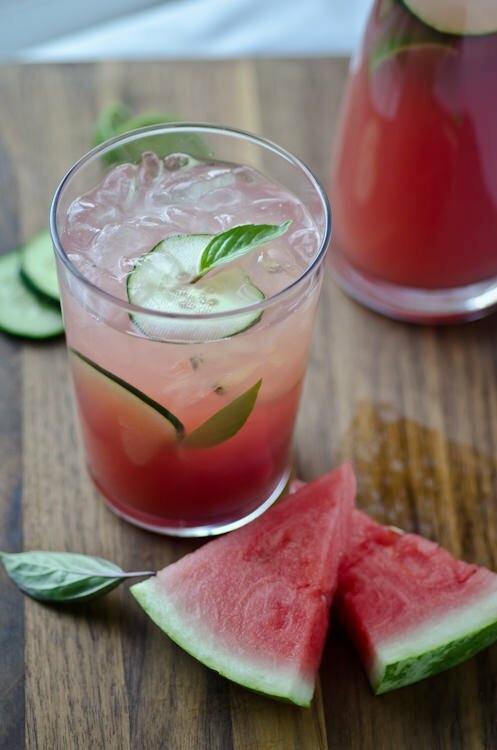 Fill the glass with ice fill with the watermelon mixture and garnish with a few cucumber slices and basil leaves.